A rare celestial event raised his interest in the starry sky, though he did not even observe it. As a passionate stargazer he did not hesitate to travel hundreds of miles to observe it under the dark sky. He discovered the beauty of variable stars in Eastern Slovakia and began to observe them from the balcony of his apartment. He thanks his job to a bright comet, and nowadays he gets valuable data for physicists from the comfort of his home. Operator of robotic telescope, Martin Mašek. Visual comet hunter from "Land of the Rising Sun"
He accidentaly spotted a new comet at age 13 which led him to become a comet hunter. He stopped his quest when he entered a college and found a new hobby instead. 15 yeas later a bright comet restarted his search. Despite of big sky surveys he believed that comet hunters could survive. "See stars by heart", says visual comet discoverer, Shigeki Murakami. An astronomer by heart, who wishes to hand out his passion to others. Deeply fascinated by comets he decided to compile an encyclopedia about history of comet hunting. Recently he has started promoting astronomy tourism in a beautiful Indian sky spot. He wishes to push up the status of amateur astronomy in India from a hobby to something at a more profound level. Full-time amateur astronomer, Amar A. Sharma. He decided to become an astronomer as a young child. The vision of a bright comet fascinated him, but 5 years passed until he realized what he had really seen. The thrill of discoveries attracted him and he did not wait long for them. He has consistently been following his childhood dream for 20 years, still waiting for his doctorate degree, in fact he has already acted as a professional for many years. The discoverer of Comet Lulin, Quanzhi Ye. Welcome to my Astro Web! I have been interested in astronomy since my childhood. At the beginning I was most interested in comets. Later I focused on minor planets. Both are still very interesting to me. 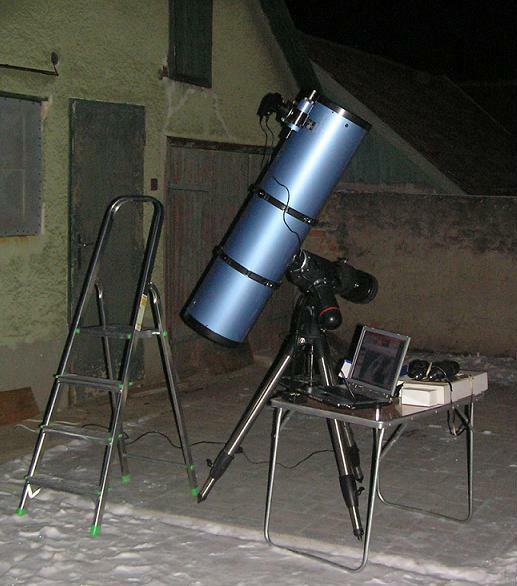 Although I have a 10 inch Newtonian telescope and sometimes I watch the sky from my backyard, all my discoveries so far were made partly via internet just sitting behind my PC and partly as a visitor hunter at Konkoly Observatory with professional set up.